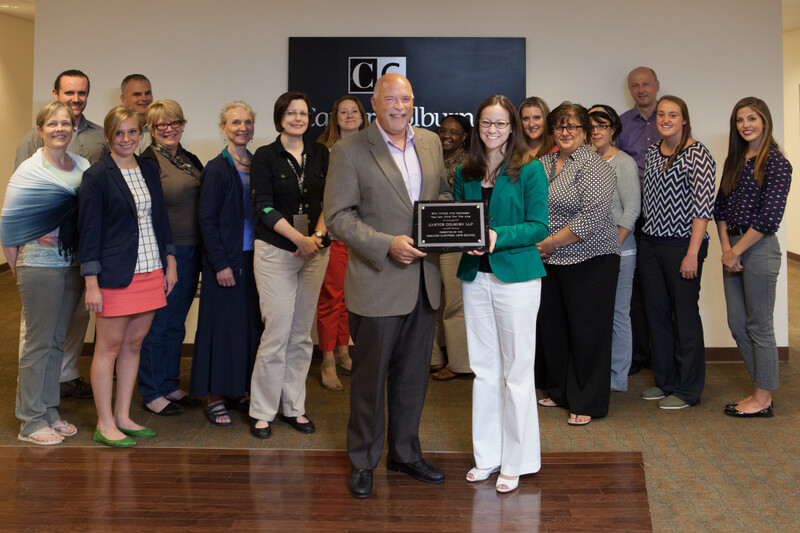 Hartford, Conn. -- The Greater Hartford Arts Council (GHAC) awarded Cantor Colburn LLP the 2014 United Arts Campaign Top Law Firm for the Arts on Thursday, July 31. Rachel Griffin, the GHAC Workplace Campaign Manager, presented the firm with the award for its standout support of the arts in the Greater Hartford area. Cantor Colburn raised over $6,900 during the 2014 United Arts Workplace Campaign. Rachel Griffin presents Michael Cantor with the award. With them are some of the many supporters of the arts at Cantor Colburn's Hartford office.